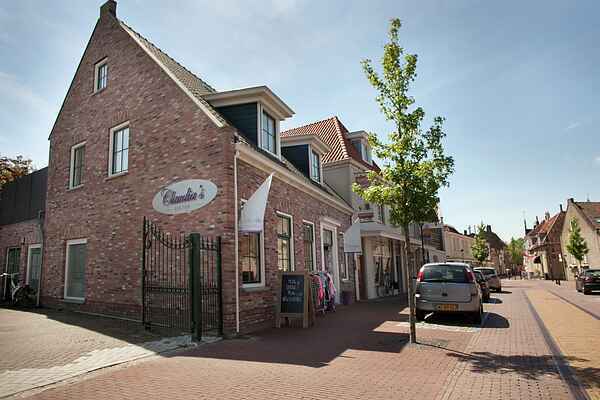 Right in the middle of the historic town centre of Tholen with its attractive outdoor cafes and marina, you'll find this nice holiday apartment. The apartment has a luxurious and comfortable interior. Go up the stairs to the entrance of the apartment, where you'll find a spacious living area and a luxury open kitchen - this is a nice place to all sit together and eat or relax. The patio doors give access to the roof terrace, which offers full privacy and is great for enjoying a drink or a bite to eat. Try one of Tholen's restaurants and discover the taste of Zeeland province through artisan products such as mussels, samphire and the 'Zeeuwse bolus' (sweet pastry). There are some nice cycling routes from Tholen and there's a little beach on the Eastern Scheldt tidal basin only a 10-minute car drive away. Other interesting cities which are easy to get to from your apartment are: Bergen op Zoom (15 kilometres), Roosendaal (25 kilometres), Breda (50 kilometres) and Antwerp (50 kilometres).